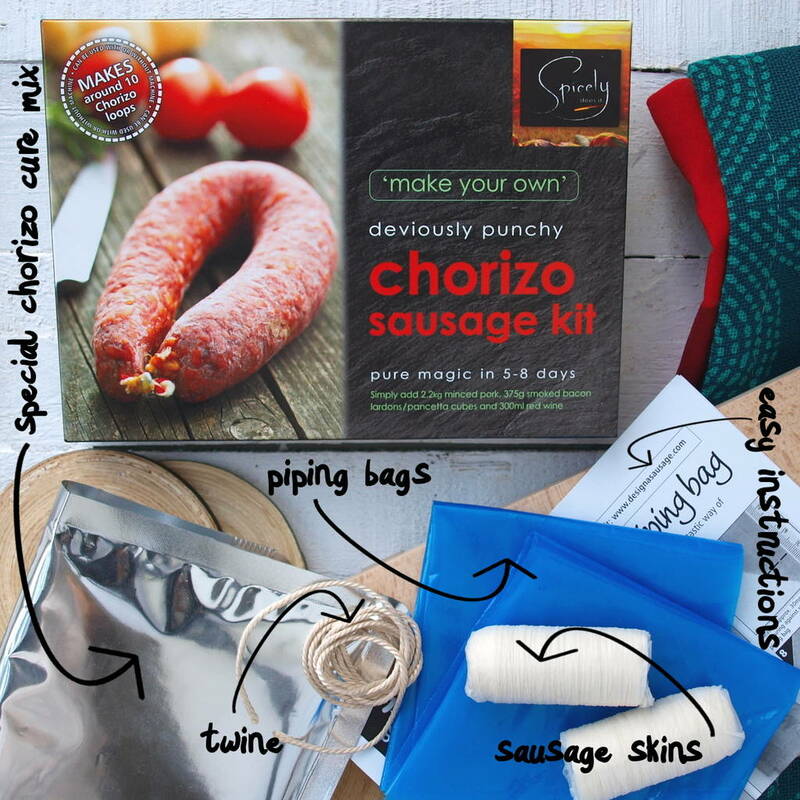 Make your own homemade Chorizo sausages with an innovative filling bag bag. A punchy, paprika and chilli foodie gift delicacy! We have passionately designed our Kits to slot ever so nicely into busy, good-food-conscious lives. These kits allow for limited preparation time and the use of trusted ingredients, encouraging creativity and lots of laughs. 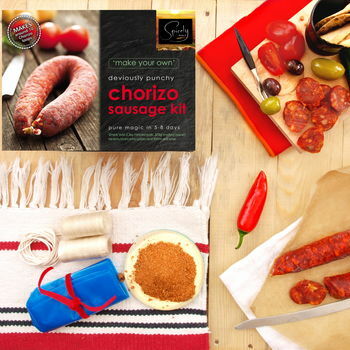 Mix our wildly tasty Chorizo Cure Mix with your favourite pork mince and bacon fat (pancetta/lardons) and blend with plenty of chilled red wine. Once filled, we promise that the exciting curing wait (5-8 days) will produce a truly magnificent gift for your taste buds. Store at room temperature away from heat and moisture. The kits also have the added advantage of a nice long shelf life. You can fling it in salads, chuck it in stews, laden your crackers and give a special smoky surprise to all dishes, all to your heart's content! 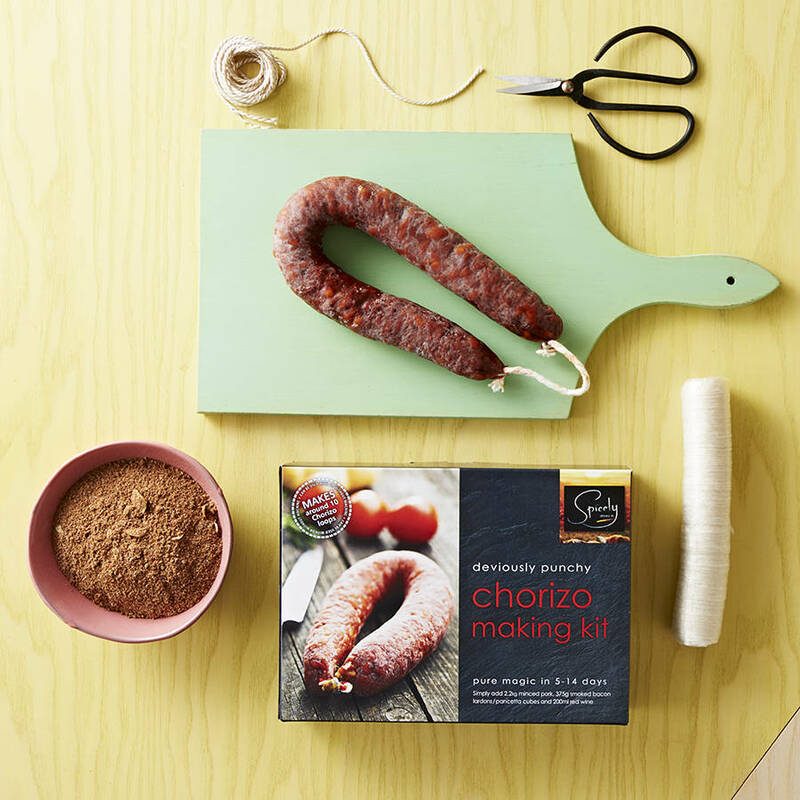 The kit makes approximately 10 Chorizo loops and comes in a box (as shown) made from recycled and sustainable card. 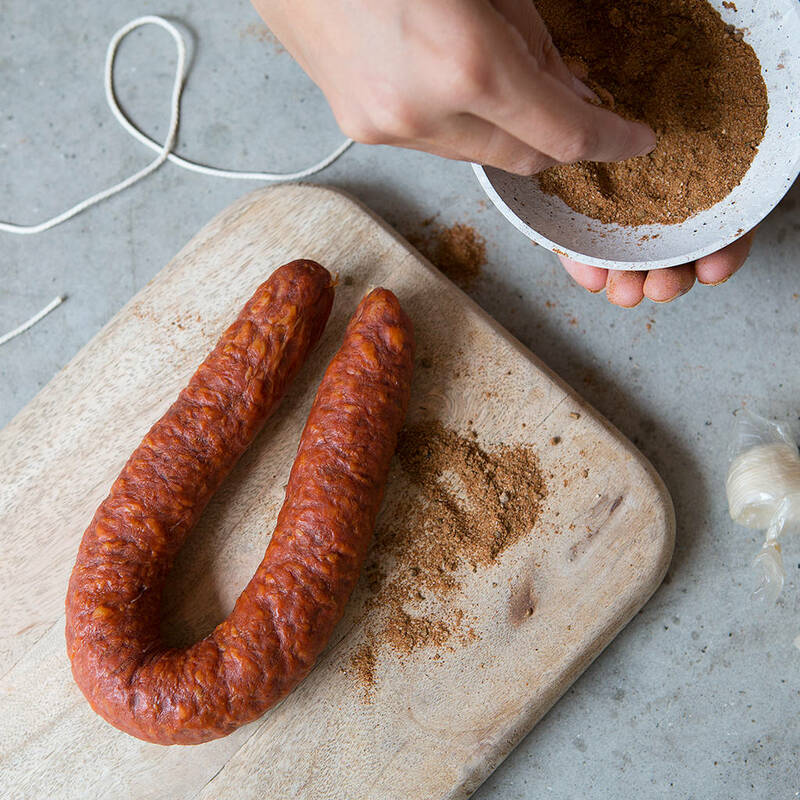 Inside the lovely box you will find an Alufoi bag (specially designed to keep the spices pungent and fresh) containing our Chorizo Cure Mix that has a unique and very special blend of herbs and spices with a warm punch of paprika, chilli and our special curing salt. 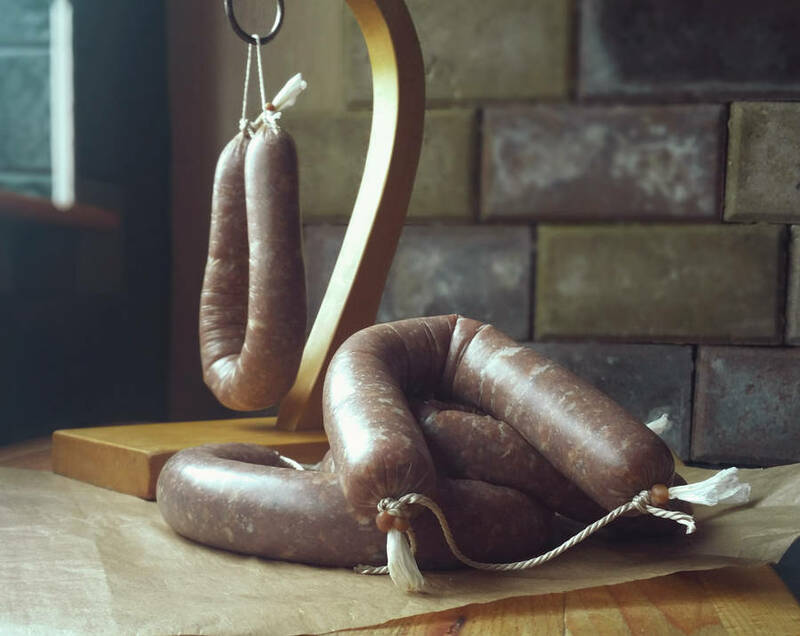 Our sausage casings are made from Beef Collagen (natural and edible), butchers twine, 2 blue plastic food grade filling bag and step by step picture instuctions. The sausages can be prepared with the piping bag provided or a machine. ----------------------------------------------------------------------------------------------------------------------------------------PPST! 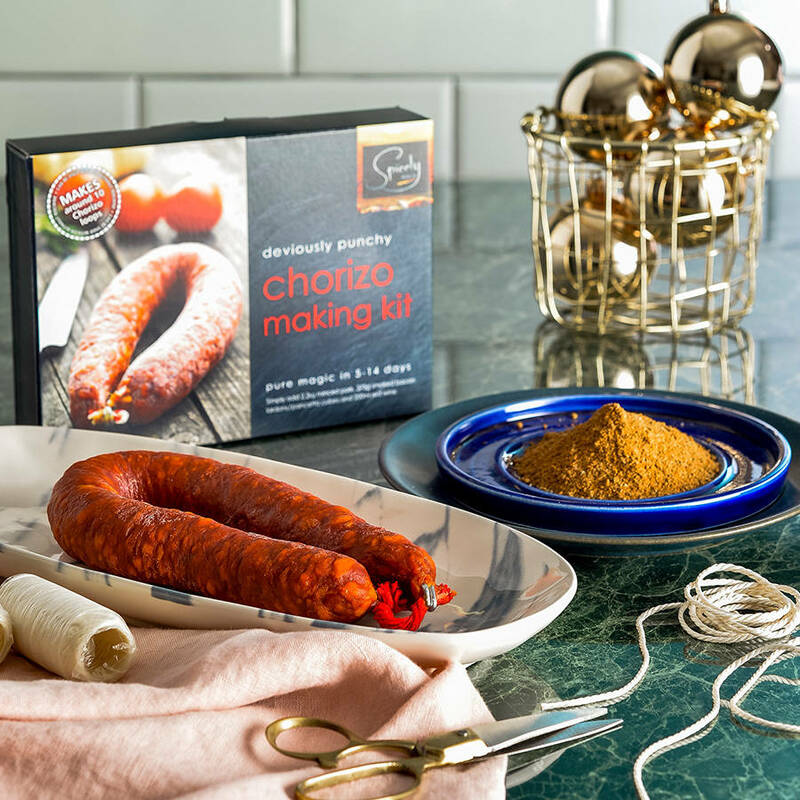 If you would like to go the whole hog, we have put together a brand new kit option 'Making CHorizo with Machine'. 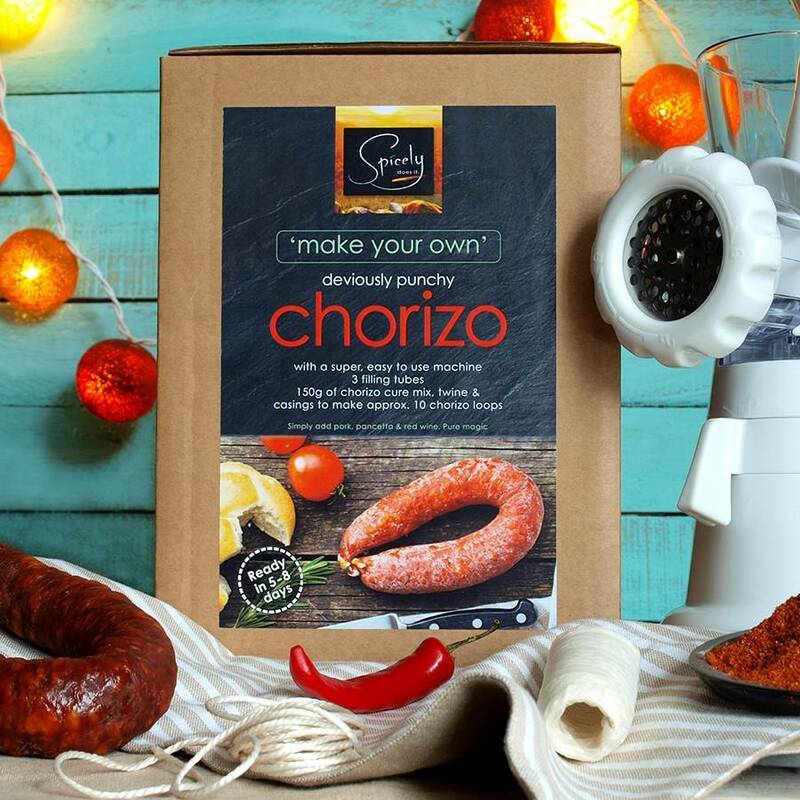 Inside the complete box you will find the extra special Chorizo Cure Mix, sausage casings made from beef collagen (natural and edible), butchers twine, step by step picture instructions and an easy to clean, sturdy and robust machine that works both as a mincer and a sausage filler. Parts include 2 mincer plates (for fine and coarse mincing), 3 sausage filling tubes (for all sixes of casings), a plunger and a metal sausage filling mixer. A Sausage Makers Big Dream Gift! 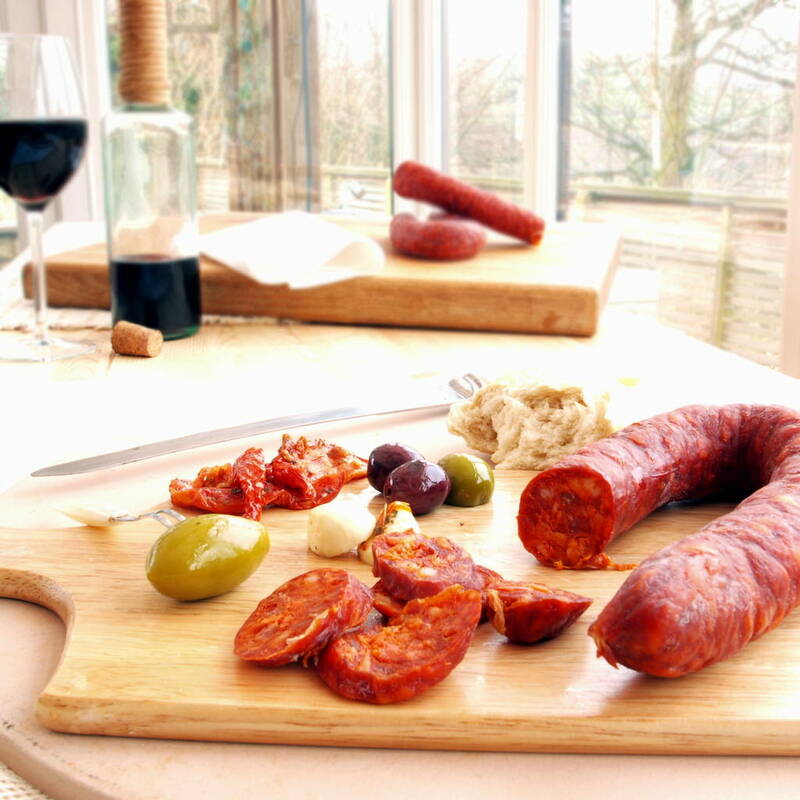 This product is dispatched to you by Designa Sausage & Spicely does it.